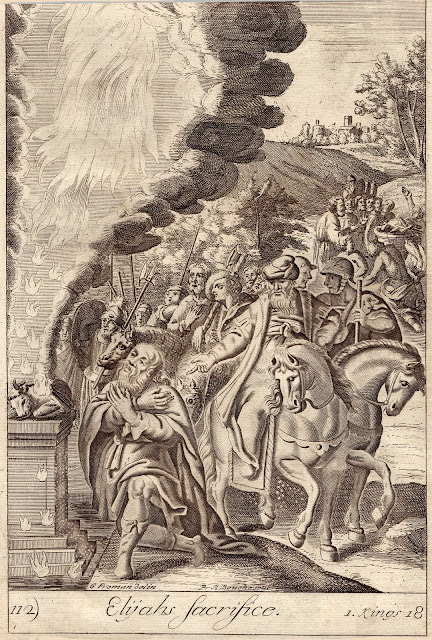 Image of Elijah taken into heaven giving his mantel to Elisha. 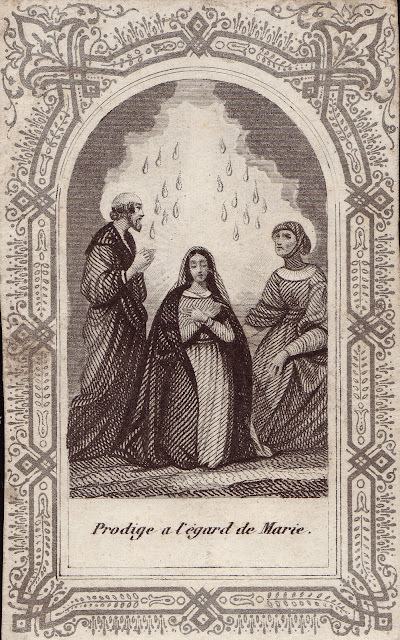 Vintage Carmelite holy card. The miracle was about Mary. 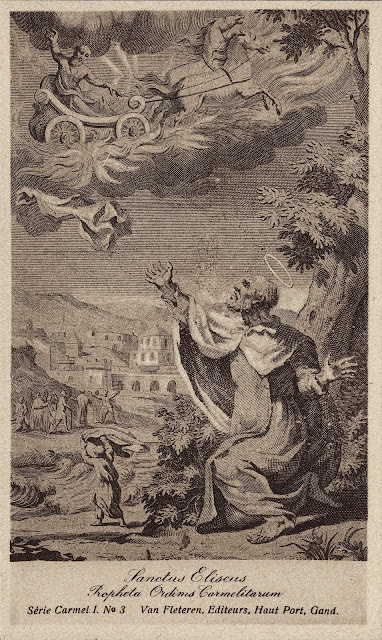 Video on The Cloud of Elijah as a type of Mary. 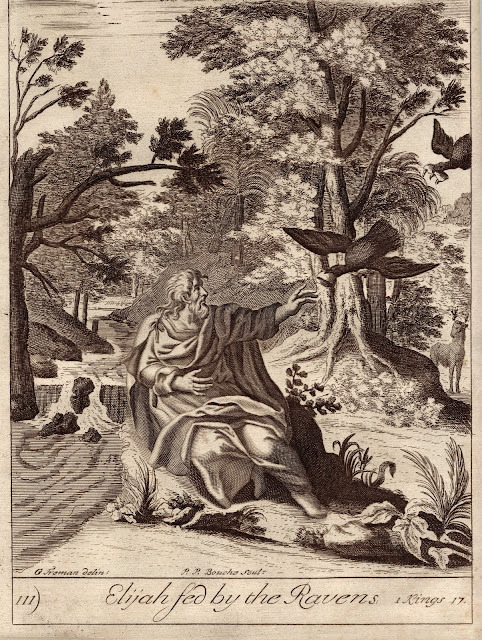 The illustrations help to tell some of the stories of Elijah that are found in the Bible. Links to the passages are included beneath the images. 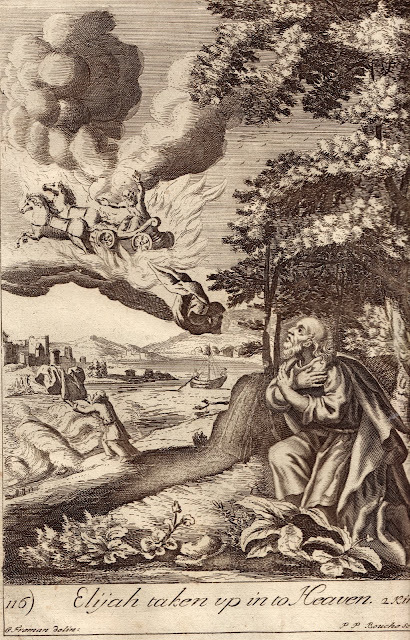 Reading the Biblical accounts one begins to appreciate the mystery of this great contemplative and zealous defender of the faith who Carmelites call Dux et Pater, Leader and Father. 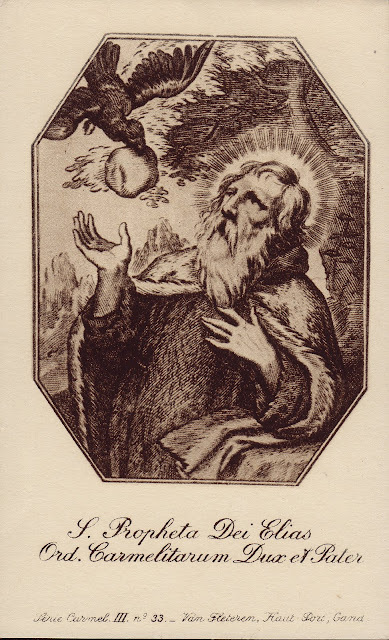 “With zeal have I been zealous for the Lord God of hosts.” (1 Kings 19:10) These words of the prophet Elijah are written on the Seal of the Carmelite Order. 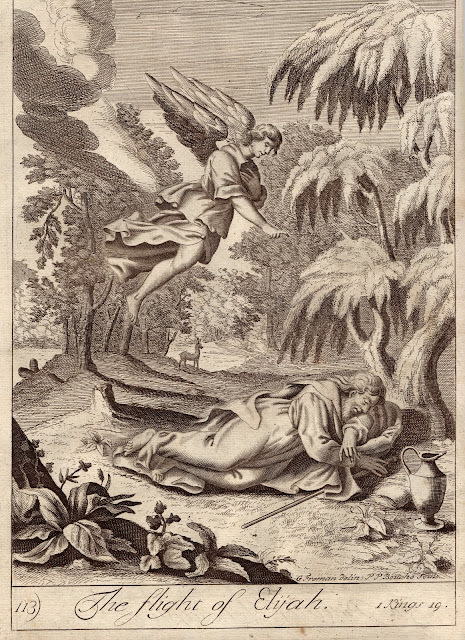 Our small collection of illustrations of Biblical accounts of the Prophet Elijah found both in antiquarian books and old Carmelite holy cards. Double click to view enlargements.